If you'd like more information about home staging to sell your house quickly in North Kingstown, Rhode Island, contact me and I'll clue you in to the fastest ways to sell your house. Expert home staging is a proven method utilized to sell a home here in North Kingstown, Rhode Island. Some advantages to home staging include less time on the market and higher selling prices. If you want to sell your house quickly, choose a well-planned approach to home staging. Home staging is part of preparing your home for sale. Staging centers on on your home's presentation to buyers while highlighting the characteristics of your home with thoughtfully placed furnishings and artwork so that your home looks as if it's more spacious and buyers can picture their lives in your home. Curb appeal is your first chance to make a positive impact on buyers from a street perspective. The pluses and minuses that jump out at buyers create their initial opinion of your house and how you perform house's regular maintenance.Knowing this helps us to choose what plan of action we can use to entice buyers from the street and into your house. If your home isn't pretty on the outside with refreshed paint and colorful greenery it's time to get those things done. 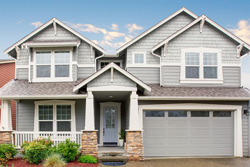 Refer to the Curb Appeal Checklist and raise your home's final selling price. Could a buyer picture themselves enjoying game night in your living area, reading a good book in your master bedroom or getting work done in your home office? I want your house to welcome buyers and offer them a sense of comfort. I'll help you accomplish this by suggesting changes that highlight the features of your home. I'll help you take away anything that gives the illusion of clutter. Counter tops should be neatly arranged. Knickknacks, souvenirs, family photos, and play time works of art should get stored away too. I can help you simplify the decor of house. Unsightly or messy spots make your home seem less spacious and buyers have a more difficult time picturing themselves calling your property "home". Buyers like a home that draws them in with charm. Decor that could be too personal should go into storage in order for your house to achieve mass appeal at the open house. You'll know when to host an Open House, because all of the improvements mesh together to create a picture of what buyers can expect when they consider buying your house. Brightening up your interior is critical, so we'll do things like open curtains and change light bulbs where needed to invite the buyer inside. Together we'll enhance the ambiance with enjoyable music playing lightly and assure a pleasant fragrance flows room-to-room. We'll make use of cozy-looking blankets, and pillows on your love seat and bedding. We want buyers to feel like your current house is their future home.